Courtney was our pick of the heifer calves at the 2010 Alberta Fleckvieh Fest sale. As in the past, our 364 day search per year brought us to Alberta and we sure have not been disappointed. Courtney this past calving season just gave us her 4th heifer calf. Her first 2 daughters are hard at work down at Norwich, Ontario for Henk Van Ginkel. Last years heifer calf Country Girl, by our own Equinox bull is out in our heifer pasture and will be for sale this autumn. 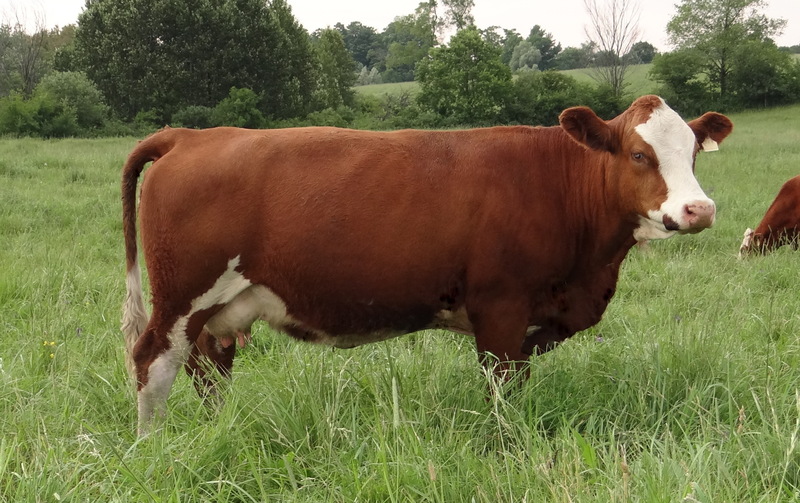 She is bred to our Platinum bull and will have a January calf.